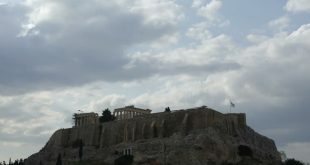 The weather keeps playing with Greeks’ nerves and sudden summer rainfalls pour down tones of water flooding streets, homes and businesses within minutes. Greece’s National Meteorological Service keeps issuing the one weather warning after the other, although we are in the middle of the summer. 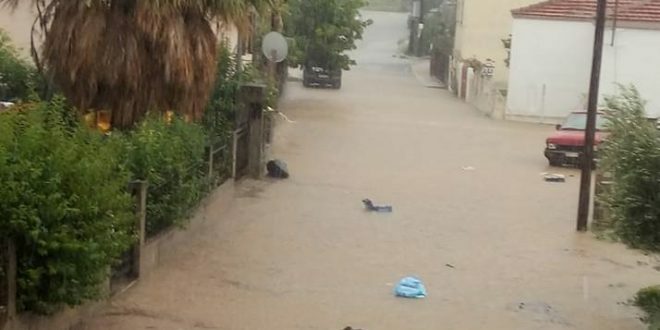 Streets were temporarily flooded in Poligyros and Ormilia in Halkidiki, North Greece, when a summer stroke the area on Wednesday. 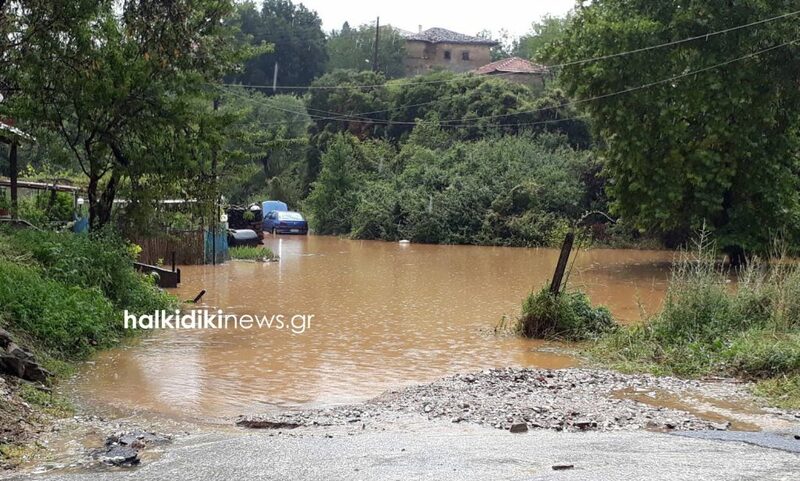 Streets were temporarily flooded in Poligyros and Ormilia in Halkidiki, North Greece, when a summer stroke the area. At the same time, home and business owners in Evkarpia and Palaiokatstro in Thessaloniki had to call the Fire Service to pump waters from their properties. 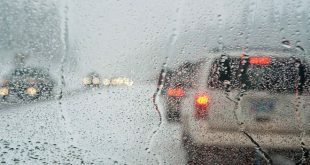 According to local media main and smaller roads in the broader area were flooded within the short time the rain stroke. 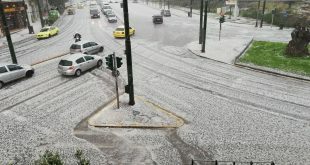 According to Greek National Meteorology Service warning the bad weather with powerful rainfalls and thunderstorms will continue also in the next few days. 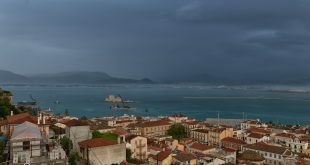 It is mainly the mainland affected by the bad weather with the islands in the Ionian and the Aegean Sea to be spared from the rain. However, due to high summer temperatures, drought and the usual North winds in August (meltemia) there is a very high risk of fires on the islands of the Eastern Aegean on Thursday according to a warning by the Greek Civil Protection. Weather Forecast and Warning by the National Meteorological Service 2-4 August 2018. See which regions are to be affected. Central Macedonia, Thessaly, Sporades islands, possibly North Evia. By noon and afternoon possibly also Epirus, West Macedonia, Central and West Sterea. West and Central Macedonia, Thessaly, Epirus, in the morning possibly also the Sporades islands. By noon and afternoon, possibly also West Sterea and Peloponnese, mainly the West part. West and Central Macedonia, Epirus and Thessaly, mainly West and North. Forecast sees weather improvement on Sunday, 5. August, and rise of temperatures in the following days.